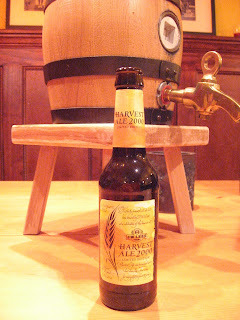 I opened a bottle of 1996 Thomas Hardy's Old Ale last month and served it some of my brewer friends. I had purchased it in 1998 when I was living in the UK. It was amazing! A real testament to what time and yeast can do. It's a shame that beer is no longer being produced. I've still got a few later bottles, being saved for a special event someday. Cheers! I just realized I spelled raisin wrong in the blog post. I'm sure that is not the only mistake! Have no enough cash to buy a building? You should not worry, because it's available to take the home loans to solve all the problems. Therefore take a sba loan to buy all you want.